You aren't what you are. At first glance, that might not make sense, but I’m here to tell you that it’s a true statement. And it’s a good way of jumping into our topic: growth mindset versus fixed mindset. In the USA gym, we’re all about cultivating a can-do attitude. 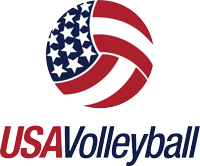 This means that we fully believe that players and coaches are not just born with certain abilities that will dictate how good they might be at playing or teaching volleyball – or anything else in life. Yes, each person has different genetic strengths, but research tells us that we can very much impact the level at which we perform. More than 20 years ago, an interesting study was conducted by two social psychologists who are now at Stanford: Carol Dweck, a professor of psychology, and Claudia Mueller, who has a doctorate in social/personality psychology and is a faculty member in the university’s surgery department. Next, the students were offered an opportunity to take a more challenging test. Ninety percent of the ones who were given feedback on their great effort jumped at the chance. Fewer than half of the kids who were complimented with the word “smart” agreed to take it. After a number of other tests, a final test was administered to both groups. It was a similar level of difficulty to the first test. The result: the “effort” group did 30 percent better than the “smart” group. This study highlights the advantages that someone with a growth mindset has over someone with a fixed mindset. None of us are all growth mindset or all fixed. But if we can embrace these ideas by understanding that effort, challenges, mistakes and feedback are critical and beneficial, then we can make big improvements at anything for the rest of our lives. We can all be powerful learners. One advantage you’ll have from cultivating a growth mindset is that you’ll be more likely to work to the edge of your abilities because you’ll understand that effort pushes you forward and upward. You’ll also understand that making mistakes is just part of the process. In contrast, someone with more of a fixed mindset who perceives that they simply are what they are is likely to fear mistakes. They’re also likely to worry about how they will appear to others, which isn’t conducive to performing to the best of their abilities. You can see how this applies to volleyball. This sport is difficult and sometimes frustrating, and you often play it with people watching. If you’re concerned about what others think, you may take fewer risks and hold yourself back. But if you’re excited about the possibilities of how good you could become with enough hard work, you’ll welcome the chance to challenge yourself. And chances are, when things get tough, you’ll summon more grit and work through it rather than walking away, as someone with a fixed mindset might do. Those with a growth mindset also understand that feedback shouldn't be taken personally. It’s information to help you improve, not confirmation that you aren’t as good as you think you are. So keep that in mind when a coach or teammate makes a suggestion. Listen, consider what they have to say, and think about how you might be able to use it to get better. I urge you to reject this type of thinking. Embrace a growth mindset and go for it! You can be a much better passer, and with enough effort and purposeful practice, you will be.